Description: This is a North Carolina Amber Alert for a Child Abduction….The Lumberton Police Department is searching for Hania Noelia Aguilar. 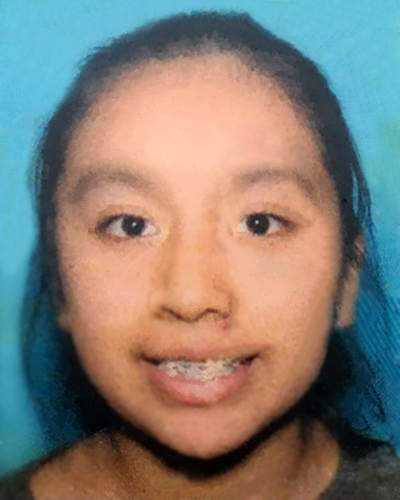 Hania Noelia Aguilar is a 13 year old Hispanic female approximately 5 feet tall weighing 126 pounds. She has long black hair brown eyes and braces. She was last seen wearing a blue shirt with flowers,and blue jeans.